Dogs feature in a range of wines and vineyards across the world. As we are starting off a new year, I’m toasting the innovative ways wine makers have chosen to feature dogs. 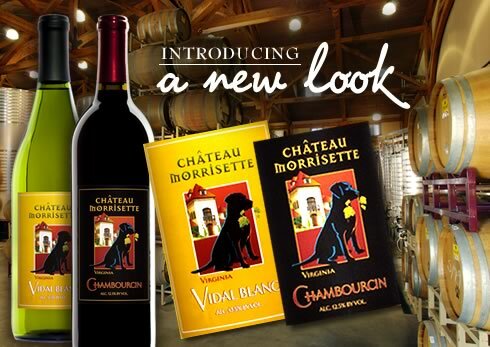 I’ve been interested in wine labels portraying dogs since 2007, when I launched Canine Catering. The launch was combined with a birthday party for Daisy and I bought some red wine from the local supermarket called ‘Dog Box Red.’ It had a cute picture of a dog on the label and was very appropriate to the occasion. It was also a good bottle of wine. Sadly, I’ve never seen this wine again in the shops. It was probably one of those short runs of wine we get here that are remainders from export shipments. In fact, I can’t even find the wine on the internet – so it was probably a one-off. Since New Zealand is known for its wine exports, I’ll start here and then look abroad for wines with dogs. First, there’s Huntaway Reserve. This wine launched in 1996 and features varieties from the Marlborough, Gisborne and Hawkes Bay regions. The name Dog Point dates back to the earliest European settlement of Marlborough and the introduction of sheep to the district. These were the days where, due to a lack of fences, boundary riders used boundary keeping dogs to protect the local flocks of sheep. Shepherds’ dogs sometimes became lost or wandered off, eventually breeding to form a marauding pack that attacked the same flocks they were meant to be protecting. Eventually settlers were forced to cull the dogs and the area was named Dog Point. These dogs lived on the tussock and scrub covered southern hills of Dog Point Vineyards. This landscape was, and still is, characterised by the iconic New Zealand native plant the Ti Kouka ‘cabbage’ tree which is also an established feature of the Dog Point property. In Central Otago, there is the wine produced by Roger Donaldson called Sleeping Dogs. Mr Donaldson directed a movie with this title and named his wine after it. He produces Chardonnay, Pinot Noir, Pinot Gris and Sauvignon Blanc under this brand. Okay, leaving New Zealand, there’s Longue-Dog produced in Languedoc in the South of France. This is a wine I’ve been able to buy here and add to my friend’s collection. It features a Dachshund on the label. 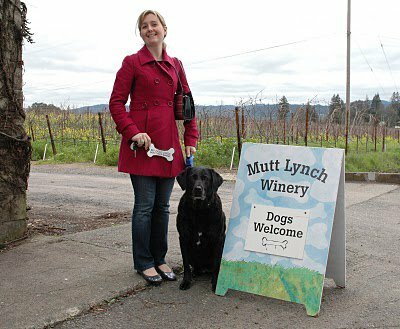 Let’s head to Healdsburg, California to the Mutt Lynch Winery next. I’d really like to go there because the tasting room is dog-friendly! I can understand why Mutt Lynch’s website says Welcome to a wonderful world where wine and “all things dog” collide into something truly special. Our next stop is Washington State, the home of Sleeping Dog Wines. Because the owner always had a dog companion on his life’s journey, he decided to pay tribute to them by featuring a sleeping dog on the label (unfortunately, I couldn’t source a photo of it to show you). In Paso Robles California is Écluse, a small family owned vineyard. One part of their range is Blind Dog Wines, where proceeds are donated to Dogs for the Deaf. This vineyard is home to two blind dogs and they have produced this range of wines to commemorate their role in establishing and maintaining the vineyard. I would have loved to share a photo of their wines, but one wasn’t available. This is Basset Hound Blackberry Wine by Dog Gone Wine. We’re going to the East Coast of the USA next to Floyd, Virginia which is home of Chateau Morrisette. Their wines also feature dogs on the label but I wish their website would tell us the connection! So when you are next in your local wine shop, look for dog labelled wine and let me know if there are others out there to try. And remember: wine is for humans not for dogs! That’s the motto of Fess Parker’s Doubletree Resort in Santa Barbara, California. This resort doesn’t place a limit on the size of dog that can stay – so your Newfoundland, Great Dane, and St Bernard are welcome (along with your Chihuahua and Papillon)! 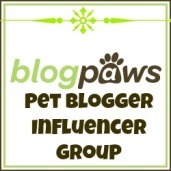 The concierge can supply you with details of local pet-friendly attractions and establishments, veterinarians and pet sitters. Best of all in two of the resort’s restaurants they have established “Pet Posts” where you can tether your dog in the patio area adjacent to your dining table. 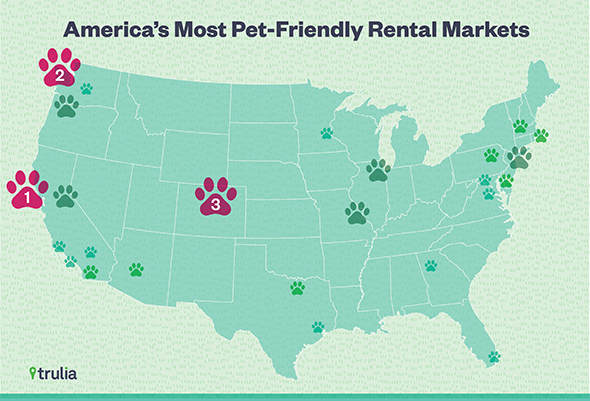 (this is the best the resort can do because of Santa Barbara laws that prohibit pets in the dining area).